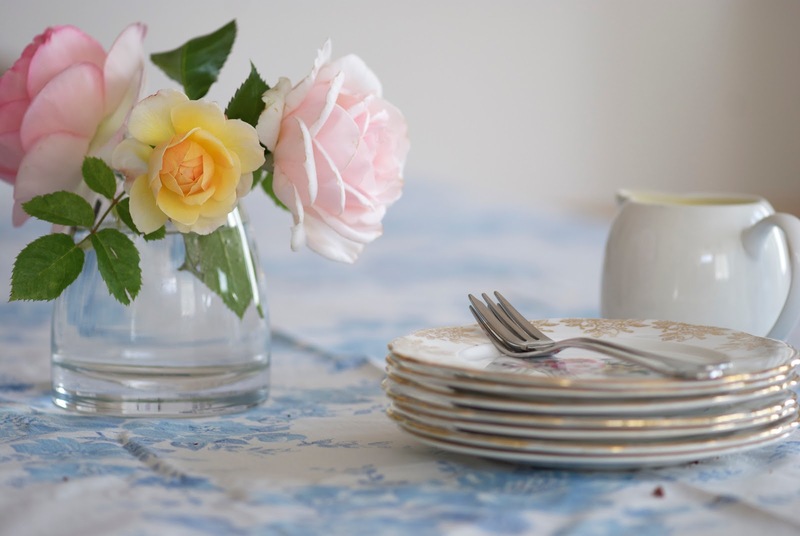 Morning tea preparations at our house with a tablecloth, the fancy china and my new roses. We had such a fun day hosting people. 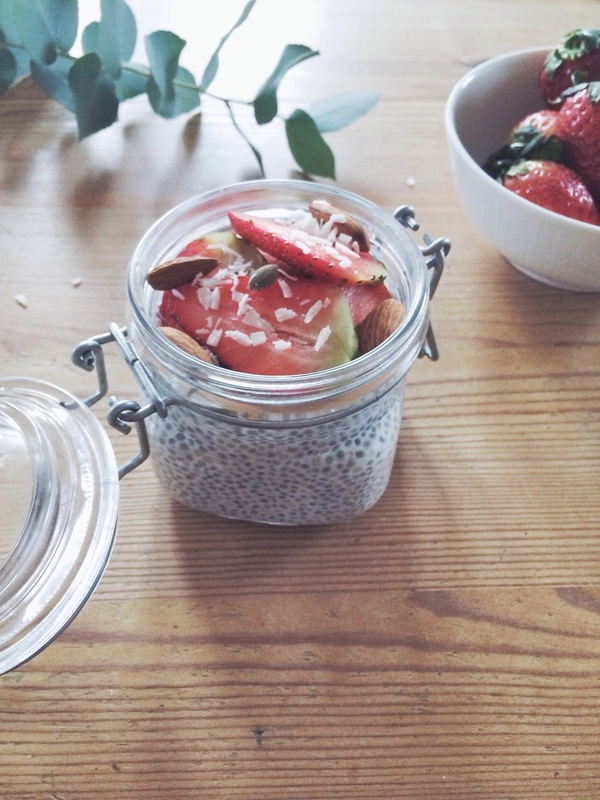 Karin made chia pudding which I've never tried - but I will soon. March's theme is mornings and we'll be sharing what they look like here and on IG. Love the light in these photos!